Latest news: Judy is looking forward to taking up her visiting professorship at the University of California, Davis, in January 2019. She will be in residence as the Granada Artist, and will be teaching a course and co-directing Flora the Red Menace by Kander and Ebb. Judy Blazer - also known as Judith Blazer - is a celebrated and universally respected actor, singer, teacher, and voice coach. With a wealth of experience behind her on Broadway, off-Broadway, on television, in the recording studio and in regional theaters and concert halls around the world, she has forged a reputation as the professional's professional. 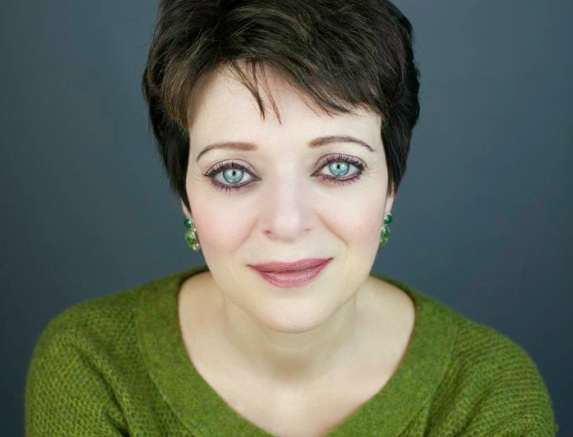 As a co-founder and Artistic Director of the Artist's Crossing Theatre Company and School in New York - as well as through her private voice studio - she has mentored scores of young singers and actors making their way into the world of professional theater and performance. She has taught master classes in universities and conservatories on both sides of the Atlantic and is the recipient of the 2010 Distinguished Alumni Award from her alma mater, the Manhattan School of Music (MSM). Click on the MSM video below for a look at Judy's career highlights - then visit these web pages for further particulars about her performance history, her recording history, her teaching, and reviews.